Bike racks, trash receptacles, street striping…how low can I go on the civic investment “to-do” list? 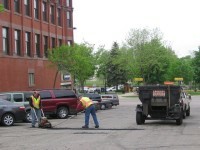 Try to imagine my unbridled joy when I saw City of Northfield crews filling potholes in downtown the other morning. Let me help to stimulate your imagination. Personally, I believe that unaddressed potholes are the harbingers of the decline and fall of civilization as we know it. 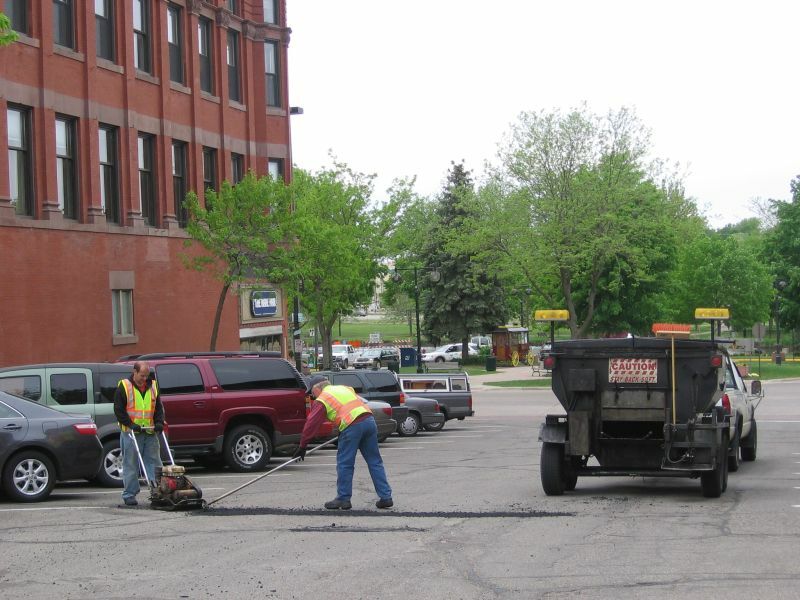 Seeing these guys fill the potholes renewed my sense of hope in our community’s future. Thanks again to Joel Walinski and his team at the City of Northfield. Just for the record, the “broken window theory” that you suggest in your piece here was originated by a St. Olaf alum, George Kelling.